JACKSON HOLE, WY – Innovation, inclusion and community are central to Hearts of Glass, the new feature-length documentary from Wyoming-based JenTen Productions. Hearts of Glass follows the tumultuous first fifteen months of operation of Vertical Harvest (VH), a state-of-the-art, multi-story hydroponic greenhouse that grows crops while providing meaningful, competitively-paid jobs for people with disabilities. The recently-completed film had its world premiere at the Wild & Scenic Film Festival in Northern California in January. The film is resonating with audiences with a broad range of interests – social entrepreneurship, sustainable local food production, social justice and disability. “Diversity and inclusion are major themes in the film, so we’re walking the walk at festivals. We have people who worked on the film and are featured in the film - people with and without disabilities – representing Hearts of Glass. We’re all participating in Q&As, post-screening panel discussions and photo opportunities. It’s been rewarding and empowering for all of us” said Jennifer Tennican, the film’s director. The film has been supported in part by grants from Wyoming Governor’s Council on Developmental Disabilities, Wyoming Arts Council, Wyoming Humanities Council, First Interstate Bank, Center of Wonder and Puffin Foundation. Other funders include Lisa-Lord Price, the Laakmann Family, Agnes Bourne, the Cheramy Foundation, and Mike and Patti Gierau. For a complete list of the film’s 350+ funders, please visit: Hearts of Glass - Supporters. Tennican hopes Hearts of Glass will inspire other innovative projects across the country and around the world. She’s also committed to using this community impact story as a catalyst for productive conversations about inclusion and meaningful employment for community members with disabilities. In addition to film festivals, future events include conference presentations and a national grassroots screening campaign. In 2020, the film will reach a broad audience through a national PBS broadcast and globally through online video-on-demand platforms. Contact Ms. Tennican if you’d like to bring the film to your community, conference or company event. 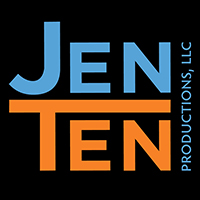 JenTen Productions is led by Jennifer Tennican, who began making documentary films in the late 1990s in Boston before moving to Jackson, Wyoming in 2002. She’s committed to sharing local stories with national and international resonance. Her films focus on identity, inclusion and conservation. Ms. Tennican’s award-winning work, including The Stagecoach Bar: An American Crossroads and Far Afield: A Conservation Love Story, has been featured in numerous film festivals and distributed nationally by American Public Television. Vertical Harvest responds to two significant needs in the mountain community of Jackson Hole: year-round, local produce and meaningful, competitively-paid employment for people with disabilities. This 13,500 square foot hydroponic greenhouse is located on a town-owned, 1/10 of an acre lot in the heart of Jackson, Wyoming. Vertical Harvest sells locally-grown, fresh vegetables to Jackson-area restaurants, grocery stores and consumers.